Xiushui Village, situated in Chaodong Township, Fuchuan County, Guangxi Zhuang Autonomous Region, has been known for many generations as a village of palace graduates. In recent years, some of its young residents have enrolled in many of China's most famous universities, including Tsinghua and Peking universities. In the 13th year of Tang Emperor Li Longji's reign (712-756), Mao Zhong, then-governor of the ancient Ci Prefecture of Zhejiang Province, arrived at what is today's Xiushui Village to conduct an inspection. Mao was surprised by the beautiful landscape-the mountains and rivers, vast land, verdant and luxuriant trees, singing birds and fragrant flowers. He decided that it was a treasured place, and that he would live there during his retirement. Years later, Mao realized his dream. He built a home, with the help of his youngest son, Mao Fu, at foot of Carp Mountain, beside Xiushui River. 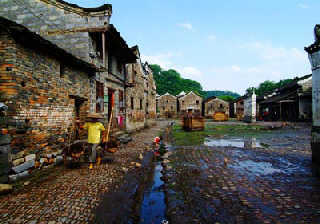 Today, the place is called Bafang Village, and it is one of the four sections of Xiushui Village. Since then, Mao's family has prospered and grown, generation after generation. Mao Zhong had been a palace graduate, and his title had been bestowed on him by an emperor during the Tang Dynasty (618-907). Mao's principle of "maintaining family prosperity through plowing and education" was passed down from generation to generation. 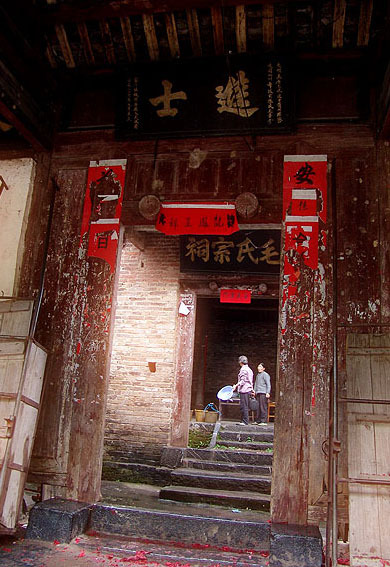 In Xiushui Village, there are many ancient buildings. During the Song Dynasty (960-1279), one of Mao's offspring, Mao Ji, who was a palace graduate and chief of the Guiji Prefecture, in today's Guangxi Zhuang Autonomous Region, donated some of his salary to help construct the Jiangdong Academy of Classical Learning. The naturally developed stone room, on Lingshan Mountain, beside the Xiushui River, served as the academy's main structure. Since then, reading has been very popular in the area. In fact, the Annals of Fuchuan County indicate, from the Tang Dynasty to the Ming Dynasty (1644-1911), the county has produced 27 palace graduates; of them, 22 were from Xiushui Village. The most famous of those graduates was Mao Zizhi, who was the No. 1 scholar during the Song Dynasty. The villagers constructed a building and erected a statute in his honor. 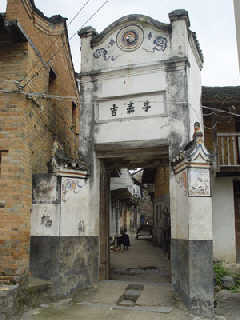 Some builidngs were erected in honor of Xiushui Village's palace graduates. Xiushui, known as the village of palace graduates, has been continuously supplying society with talented people. According to some elderly people in the village, the residents, even though they aren't affluent, attach great importance to education. The small village has three academies of classical learning. The villagers are doing everything within their power to support their children's education. The village's officials have raised money to promote education. Children who enroll in the schools, regardless of the level, receive scholarship. The villagers also help poor college students stay in school. Each year, after the list of successful college-entrance candidates is released, the villagers show movies and perform operas to congratulate the students. For those who failed the examination, their parents encourage them to try another time or look for other opportunities. In recent years, many of the young villagers have enrolled in some of China's most famous universities, including Tsinghua and Peking universities.